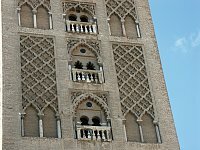 Images of the Giralda, Seville Spain. 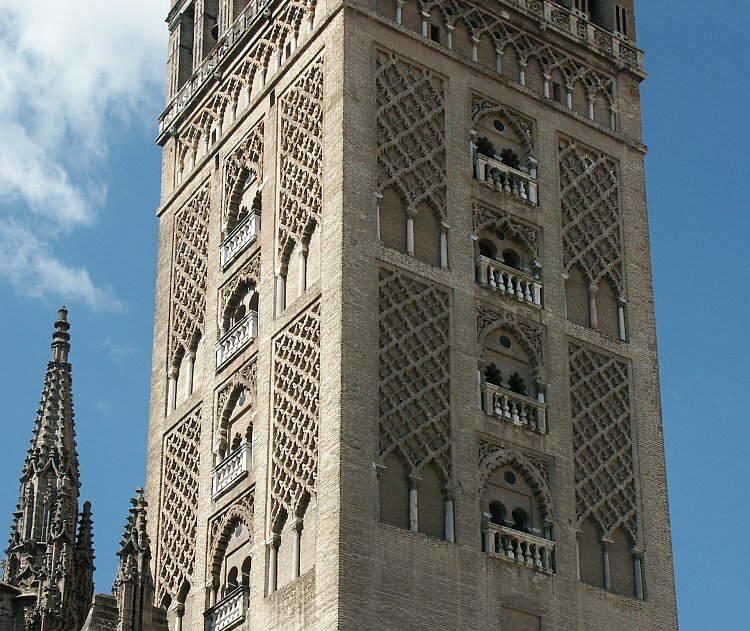 This minaret, which also served as an observatory, was part of the Almohad main mosque in their Andalusian capital, Seville. 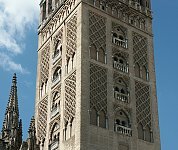 It was built just 50 years before the Christian conquest of Spain. At more than 300 feet tall, it still dominatesd the skyline and has become a hallmark of the city. 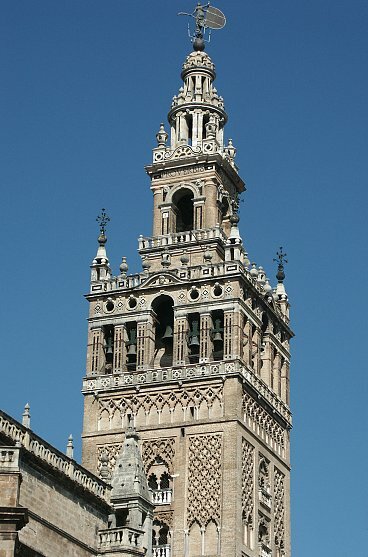 Today it serves as the belfry for the Cathedral of Seville built on the site of the former mosque. 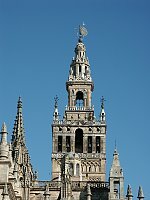 The lantern--the four diminishing storeys at the top--was added in the Renaissance. 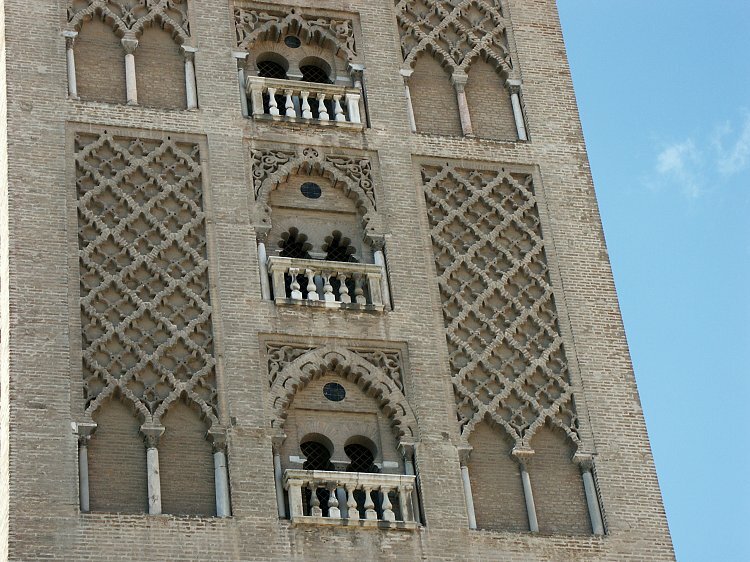 (That is, the structure above the blind arcade is not part of the Moorish original.) 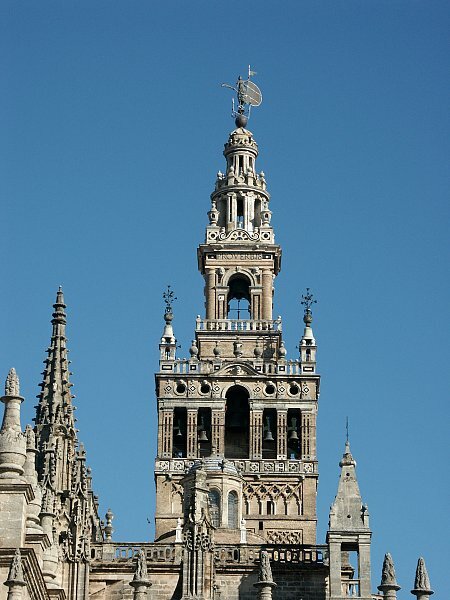 The statue at the top representing Faith turns like a weather vane ("giraldilla"), thus the name. 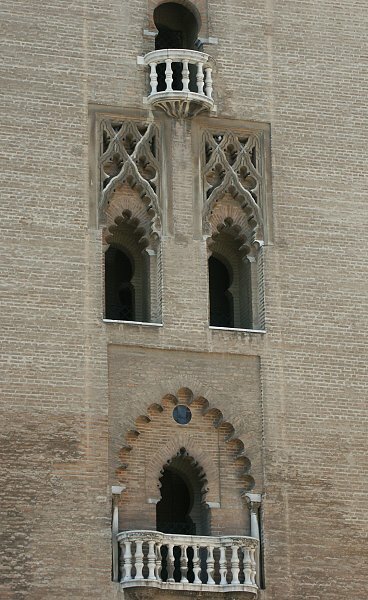 The upper zones are decorated with a lozenge motif--a kind of brick trellis work. The top of the original structure has blind arcades with interlocking arches. Inside a series of wide gently inclining ramps made it possible for the muezzin (who called the faithful to prayer) to ride horseback to the top.